Do you wish for fuller, luscious lips? Restylane® Silk is the only FDA-approved lip enhancement injectable available on the market. 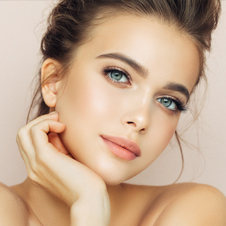 Men and women in the Palm Beach County area, Wellington, Vero Beach and West Palm Beach, trust board-certified plastic surgeon, Kim Edward Koger, M.D., F.A.C.S., for all their Restylane® needs. Restylane® Silk is part of the revolutionary FDA-approved line of dermal fillers specially designed to help increase the fullness in and around the lips. Unlike the other Restylane® products, Restylane® Silk is comprised of smaller and gentler particles that aid in the delicate enhancement of lip volume and wrinkle reduction. The primary ingredient in Restylane® Silk is hyaluronic acid, which is produced naturally by our bodies. The formula works from within the deeper layers of the surface to plump up the skin and lips and smooth out fine lines and wrinkles. Before the procedure, Dr. Koger may recommend a numbing agent be applied to prevent any discomfort. During treatment, a thin fine-gauge needle will be used to deliver Restylane® to the facial folds and lips. 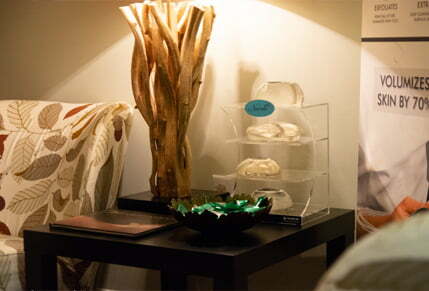 Restylane® Silk is produced from plant-based ingredients, so allergic reactions are highly unlikely. A session can take anywhere from 15 to 30 minutes, depending on the patient’s individual needs. Is Restylane® Silk for Me? Have your lips started to thin and lose their luster as a result of aging? If so, you may be an ideal candidate for Restylane® Silk. This coveted gel filler is popular amongst men and women who wish to give themselves a younger, more vibrant appearance in their face. Restylane® Silk is intended for adults 21 years and older who are in good general health. Restylane® Silk has no required recovery time. Minor swelling or redness may be present but will subside in a short while. Immediately following treatment, patients are free to return to work or other activities. Strenuous activity should be avoided for a day or two, but patients are free to go about their normal routine after receiving Restylane® Silk injections. During your consultation, Dr. Koger will advise you on how much treatment will be required to achieve your desired results. Koger Cosmetic Clinic and MedSpa offers financing via CareCredit®. We also accept cash, check, Visa®, MasterCard®, American Express® and Discover®. Turn the clock back on your appearance with Restylane® Silk dermal injections. At Koger Cosmetic Clinic and MedSpa in Jupiter, FL, we offer only the finest dermal fillers and injections. Contact us to schedule an appointment with board-certified plastic surgeon, Dr. Koger. We serve patients in Palm Beach County, West Palm Beach, Wellington and Vero Beach.